The number of print servers in an organization tend to grow organically. They grow for many reasons including: geographic distribution of sites, multiple business application/suites or operating system environments, organizational structure, and limitations on scalability. In addition, application servers often are defacto print servers whether they print directly to printers or another print server. However, these print servers cost money to acquire, maintain, and administer. When there are more print servers than necessary these costs can be significant. OM Plus Delivery Manager print software is extremely scalable, supports document streams from multiple systems, and can significantly reduce the number of print servers required. 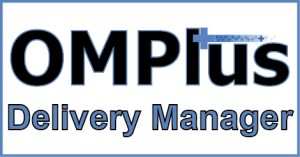 OM Plus Delivery Manager (DM) is advanced, intelligent print spooler management software that seamlessly ingests jobs from multiple systems and delivers them to printers, multi-function devices, fax software, email systems, and more. Rarely, changes are needed to existing ERP/EMR systems. OM Plus print spooler management software features include: print confirmation, re-printing, re-routing, automated fail-over, load balancing, bundling, re-sequencing, and much more. We serve customers of all sizes as our products, licensing, and pricing is scalable upwards and downwards. We have departmental as well as enterprise wide output management software implementations. In addition, we have successfully sold into many Fortune 500 organizations.